March is Shambhala Arts month, and the Shambhala Times is celebrating with articles from community members about creative expression. Today’s submission comes from Bill Bothwell as he discusses his journey as a musician and student of the Shambhala dharma. So I am a musician again! Even I want to know why I have returned more seriously to music and have made a record after letting it putter along for so many years. Songwriting has always been something I do, regardless of whether anyone else ever hears it, at least until now. I write songs because I need to. Music and poetry are an essential part of my life, along with politics, law, economics, meditation, Buddhism, Shambhala and the rest of it. It is all interrelated and perhaps interesting. In any event, it was interesting to the FBI. Once I was asked to explain to the Lawyers Guild in Denver, Colorado how I transitioned from being a very radical member of SDS to other pursuits—poetry, meditation, music and the practice of law at a large corporate law firm. Later I was told that the Guild had filed a “Freedom of Information Act” request regarding surveillance of their meetings and discovered that the FBI had infiltrated the meeting I attended and had notes on what I had said. Surely this proves there is something interesting to everyone about a path that no one quite understands. As a student and attendant to Sakyong Mipham Rinpoche, Trungpa Rinpoche’s son and dharma heir, my love for music, poetry and tearful cheerfulness only expands without interruption. The artistic issue (as best I understand) in this second generation is how the artistic seat we occupy can still remain innocent, true and pure, as Allen’s was, and still bring forth the dignity we must find in our splendid world. If you would like to hear music, read lyrics and see pictures, go to my website Bandit Soup. Scroll down to page 2 here for a review of Bandit Soup by Paul Zollo. The reviewer is a well known guy in the rock and roll world, writes for Rolling Stone, Variety, etc. Bill Bothwell is one of those baby-boomer outlaw-poets who left the American heartland for western parts and ports. 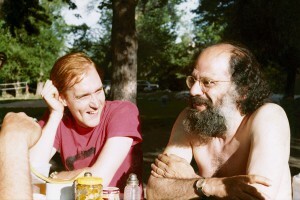 He experienced rock ‘n’ roll, radical politics, journalism, and finally Buddhism. Under the influence of Buddhist teacher Chögyam Trungpa Rinpoche and poet Allen Ginsberg, Bill practiced his own musical poetry in the Shambhala tradition. 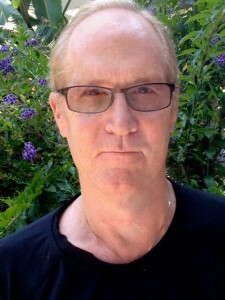 Eventually putting his music on the back burner, he went on to practice law, making him part, as his teacher said, “of the army of Shambhala lawyers.” He lives in Los Angeles and is now a student of Sakyong Mipham Rinpoche. Regard not that as poetry. This album rocks. 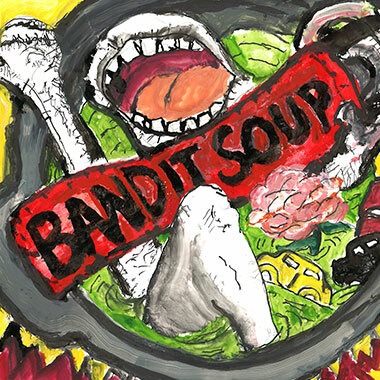 In a world where so many sound waves are aimed at entertainment and distraction, Bandit Soup is a breath of artful fresh air! Great songwriting, musicianship, and production. When do we get our next ladle? I love this article. Thank you, Bill!